Akwa United Technical Adviser, Abdu Maikaba says he is satisfied with his side’s progress and happy with the level of quality in the squad. The Uyo club started the season poorly, picking just three points from their opening five games, but have surged up the table. Akwa beat high-flying MFM FC 2-0 on Wednesday through goals from Ubong Friday and Alhassan Ibrahim. The victory came on the heels of a shock win at Kano Pillars. Maikaba, who spoke at wednesday’s post-match conference, expressed delight at having turned around a wretched run of form that threatened to cost him his job. “Two weeks into the league, we were last on the log. Now, 19 weeks into the league, we are fifth. So, we’re at least satisfied with what we’ve achieved. We have seen progress and the players know we are progressing and that’s good for our team,” he said. The Promise Keepers have rotated the goalkeeping starting role this season, leading to speculations they would be in the market for a first-choice keeper. Maikaba, however, hinted that Emmanuel Iwu’s performances lately have earned the former Heartland safe hands a first-choice status. “Three weeks ago, I said that we want a keeper that will give us clean sheets. Iwu gave us a clean sheet away from home against Kano Pillars and that is why we’ve to continue with him [against MFM FC]. Some Akwa players- notably Alhassan Ibrahim, Ifeanyi Ifeanyi and Christian Pyagbara- have caught the attention of many NPFL clubs, leading to rumours linking them to other clubs during the midseason transfer window. Maikaba dismissed such speculations, saying players are delighted to play for his side. 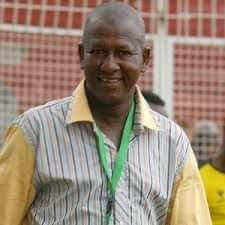 The former Wikki Tourists gaffer also revealed that he will strengthen his squad during the midseason transfer window. “Despite the progress we’ve made, we have some areas we need to fortify, and we are talking to about four players. “I believe we need a clinical finisher, somebody that can score goals very easily and maybe a goalkeeper. We need to have one. “We need to have a cover for my two central midfielders [Ifeanyi Ifeanyi and Aremu Afeez], who have been regular all through. Somebody is already on ground to do that job. “I believe if we can do that (sign the players Akwa needs), we will be better off in the second stanza of the league,” he concluded.